Welcome to 150 Redpath and the neighbourhood. This is not just a “project”, it’s a complete rebirth and rejuvenation. An incredible amount of capital investment is pouring into Yonge + Eglinton. Yes, 150 Redpath is a major piece, but it’s not alone. 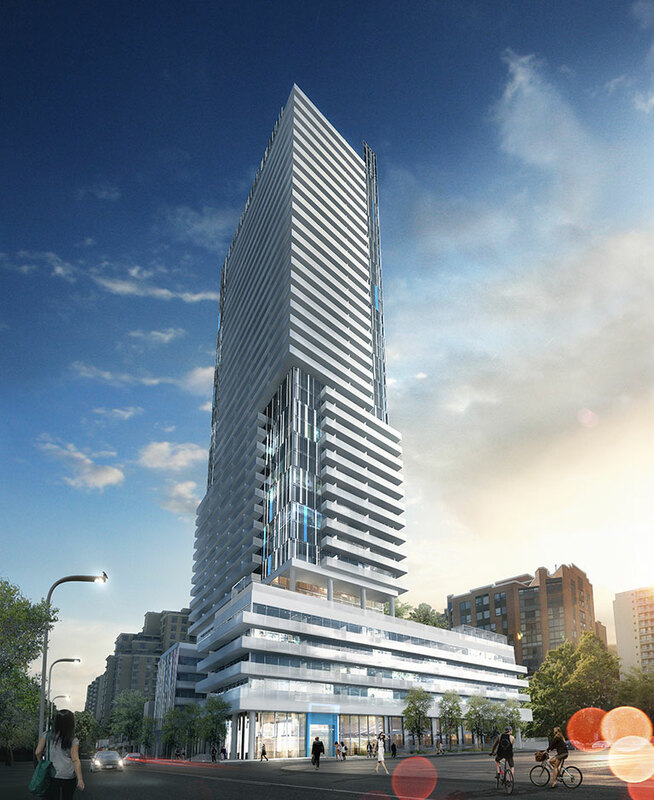 155 Redpath, Art Shoppe Lofts + Condos and massive infrastructure investments by government and business alike are about to make Yonge + Eglinton a very, very sought after place to work, play and live. 150 Redpath is a stylish architectural statement for Toronto’s midtown landscape. But it’s more than a building, more than a compliment to its predecessor, 155 Redpath. It is more than the sum of its parts. You see, the entire Yonge + Eglinton area is rebooting and 150 Redpath is going to be a big part of it. It’s designed and built for a new consumer, that is going to love living in this area. It’s built for those that are always on. They are ready to live big, so where they live should be ready too. A perfect example is downtown’s west end becoming “the” place to live and work. It wasn’t always. When no one else saw the potential, Freed Developments saw enormous opportunity. Today, King West is home to some of Toronto’s most desirable real estate and is one of the city’s go to neighbourhoods. Now Freed and Capital Developments are looking to reimagine another entire area of the city: Yonge + Eglinton. 150 Redpath stands alongside 155 Redpath, yet it stands alone. Designed by award winning architect Peter Clewes, of architectsAlliance, the project takes a contemporary interpretation of the tower and podium principle. Modernly visualized with sleek blue on crisp white, the 20th century abstract art inspiration cuts through. The visual stature is only surpassed by its actual height – even taller than 155 Redpath. The sculptural, asymmetrical tower uses wrap around glass balconies that peel away in various patterns to reveal a playful, layered façade. Sandblasted, clear and coloured glass create varying patterns and rise up to form a stunning crown to top the building. The podium creates a strong street edge that is harmonious with the existing mid-rise architecture and will accommodate the spectacular rooftop amenities. The full height glass facades will create a feeling of light and transparency. The building is also situated to allow for landscaped public space, café seating and a verdant pedestrian area adjacent to the project. This modern design carries through to the individual suites. Dramatic floor to ceiling windows, as well as a variety of suite configurations are available. From well thought out condos, to expansive 2-storey suites, to a limited number of distinct townhome designs. A 24 hour lifestyle yearns for a relaxed retreat that’s a refuge from the daily hustle. Earthy tones, luxurious textures and contemporary lines create a uniquely cool vibe in every common area of 150 Redpath. Catering to this “always on” way of life means a list of amenities for every time of the day that will make even the chicest boutique hotel jealous. Rooftop nirvana. A sleek, massive rooftop infinity pool will be the place to see and be seen day or night, complete with cabanas, hot tub and sound system. Move over to the private outdoor dining areas, each with their own BBQ, when hunger strikes, and as the sun sets, the fire pit will ignite and set the scene for the night ahead. Every entertaining space should be indoor/outdoor. The Social Room is. Equipped with an oversized indoor dining table, private outdoor eating areas, and plenty of spots to lounge and relax. What else? How about a bar with keg ready draught beer taps? All you need now is an excuse to throw a party. The interior design is a warm and inviting refuge from the daily grind. The lobby entrance will help you leave the outside world behind, the amenity spaces will envelope you in warmth, and every suite is smartly designed for form and function by award winning design firm, Johnson Chou. Kitchen and vanity cabinetry is sleekly European inspired and compliments the overall open concept esthetic. 150 Redpath is designed for a 24 hour lifestyle. Enjoy your haven. VIP broker sales are underway, with prices starting in the low $200,000s.